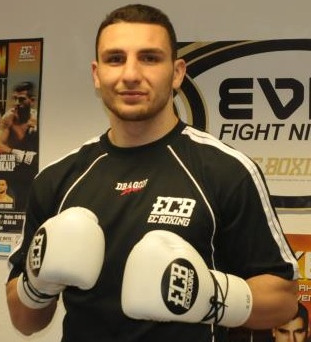 EC Box Promotion have Abel and Noel Gevor in featured spots on their Evil Fight Night July 7 in Hamburg. They are brothers and stepsons of former world title challenger Khoren Gevor. Noel, 4-0 and a cruiser, have served as sparring for Ola Afolabi and did well while Abel, a lightheavy, makes his prodebut. Also on the bill are heavy Goran Gogic, lightheavy Igor Michalkin, cruiser Julian Ilie and female jr welter Klara Svensson. Middleweight Cagri Ermis, now a former WBFed champ, might also be on the bill. Ermis was all set to defend the title July 14 in Ukraine against Vitaliy Kopylenko but it all fell through when the promotor asked for a big share, according to EC as big as Ermis´ purse, of the Turkish TV rights. Ermis then also relinquished the title. There has been no comments from the WBFed on the matter.